These are the best TVs to watch Netflix on, according to Netflix | What Hi-Fi? Netflix's top picks include LG's 4K UHD TVs with WebOS 3.5, Samsung's 7, 8, 9, and Q-series Smart TVs and Sony's Android TVs. Ever wondered what's the best television for your next Netflix binge-session? 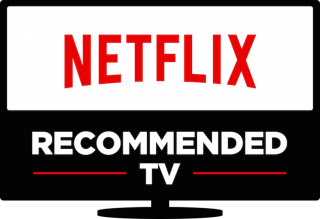 The streaming service has released its recommendations for the TV ranges that offer "better usability, faster performance and new features" and make Netflix (and presumably other internet TV services too) "as easy as getting to live TV". The chosen televisions include LG's 2017 range of 4K UHD TVs with WebOS 3.5, Samsung's 7, 8, 9, and Q-series Smart TVs and Sony's Android TVs. Your TV starts up instantly and apps are ready to use right away, just like your smartphone. The Netflix app always launches quickly, whether it’s right after turning on the TV or after using several other apps. The Netflix button on the remote control powers on the TV as well as launches Netflix, so you can start your TV and get to Netflix with the press of a single button. Your TV remembers what you were doing and wakes to the same place as when it was turned off. You can browse Netflix in 1080p resolution – with crisper text and clearer images. Your TV comes with the latest version of Netflix with the newest features.